The combination of delicious crispy bacon, buttery English muffins, perfectly poached eggs and creamy Hollandaise is our idea of food heaven. So, it comes as no surprise that we’re forever scouting for the perfect plate. It’s our go-to menu item to kick-start the day on a good, gooey note. 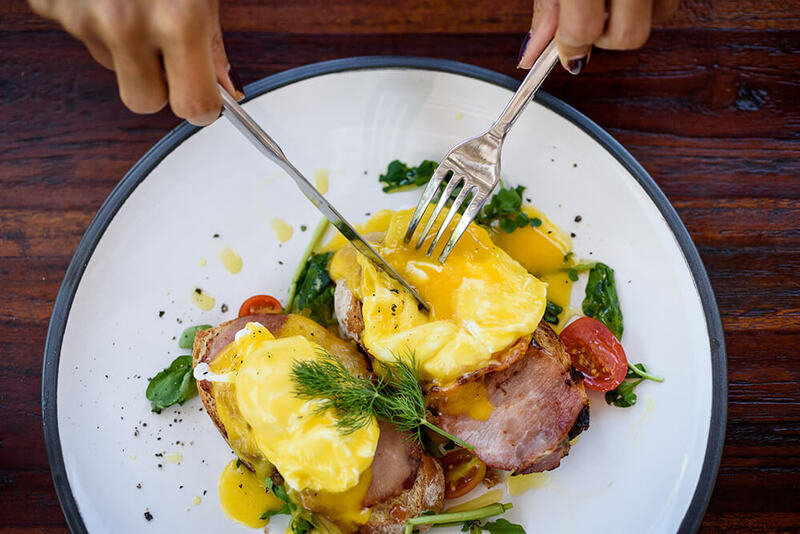 The Mother City’s restaurant scene is packed to rafters, so we thought we would narrow things down and highlight 5 of our favourite spots to have the tastiest classic Eggs Benedict in Cape Town. 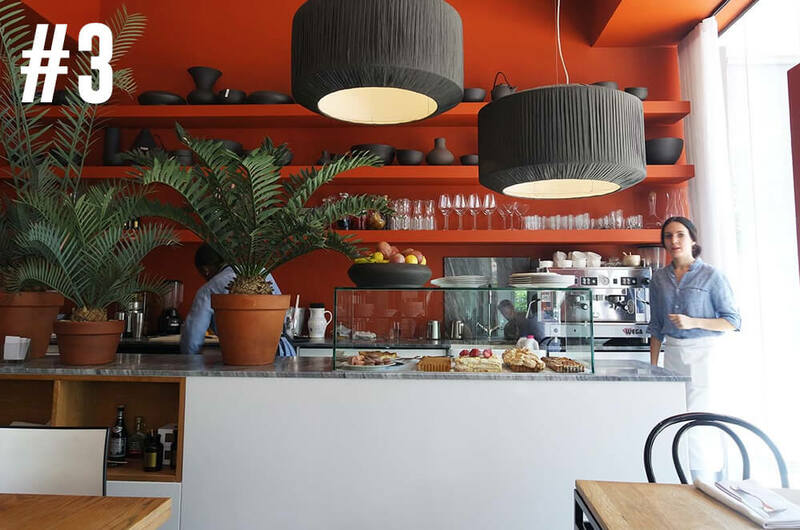 With locations scattered across Cape Town, Melissa’s is a favorite breakfast spot to enjoy delicious Eggs Benedict in Cape Town. 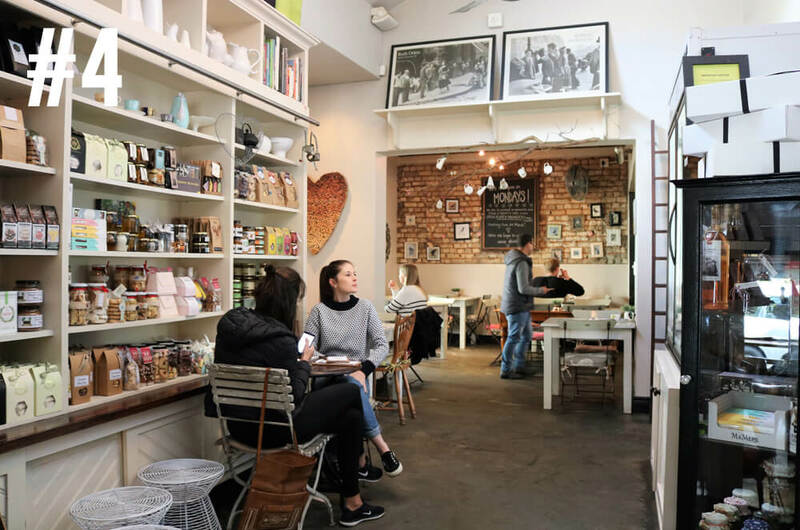 This quirky dining spot and gift shop serves up tasty dishes with a homemade flair, and when it comes to their version of Eggs Benedict, you can expect a hearty offering of poached eggs, English muffins, and tangy Hollandaise. The best part? It’s served with Woody’s bacon! Situated in the bustling suburb of Sea Point, Kleinsky’s whips up a unique version of this breakfast icon: latke Benedict. The latke (fried potato cake) is topped with the usual poached eggs and Hollandaise combo, and despite its dishes drawing inspiration from the Jewish New York culinary scene, you can still get your bacon fix to top off your breakfast. 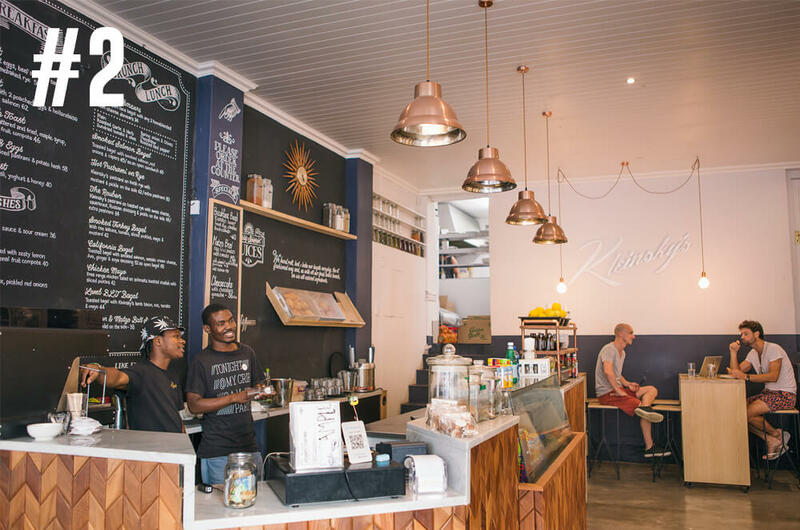 No wonder Kleinsky’s is loved by locals for its take on Eggs Benedict in Cape Town. 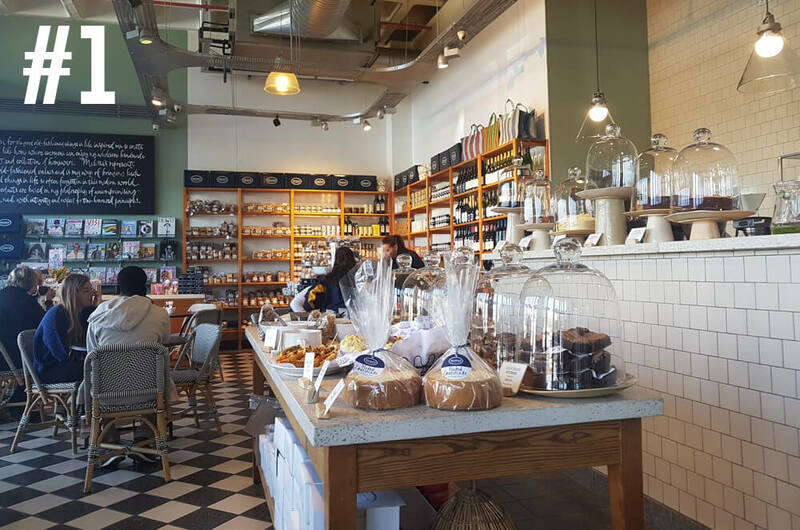 When it comes to cafés and eateries in Cape Town’s CBD, you’re spoilt for choice, but if you are on the hunt for your Benedict fix and need some guidance, we recommend the heavenly Hemelhuijs. The hotspot’s Benedict is served with artichoke hearts and ‘mosbolletjie’ bread. And the best part? Hemelhuijs offers breakfast all day! 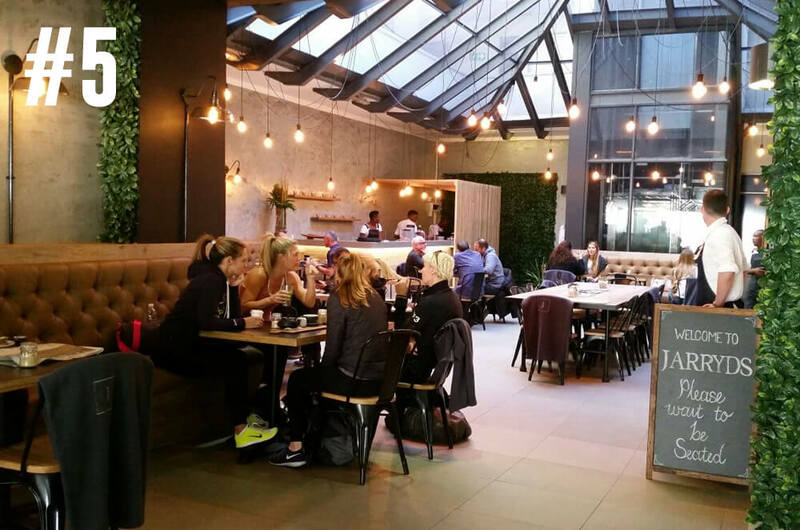 Nestled in the leafy suburb of Wynberg, Four & Twenty is a go-to brunch spot for many in the Southern Suburbs. Not to mention, they serve up two exciting takes on Eggs Benedict: firstly, there’s the Eggs Be-lean, which comprises free-range eggs, aubergine, mushroom and a truffle rosti; and there is the Oriental Be-lean, which features exotic mushrooms, umami Hollandaise and, wait for it, sesame-coated bacon! With a dedicated ‘Benedict Bar’ feature on its menu, Jarryds gives you the option to construct your Eggs Benedict just the way you like it. With everything from bacon and salmon to artichoke and mushrooms, you won’t have any problem building a mouth-watering tower of deliciousness. The Sea Point-based hotspot fills up very quickly on weekends, so be sure to get there early as they don’t take bookings. For a DIY- take on a classic breakfast combination, have a look at our healthy Bacon Toasties with Poached Eggs recipe. It’s quick and easy to prepare and just as tasty as any of the dishes mentioned above! Promise!